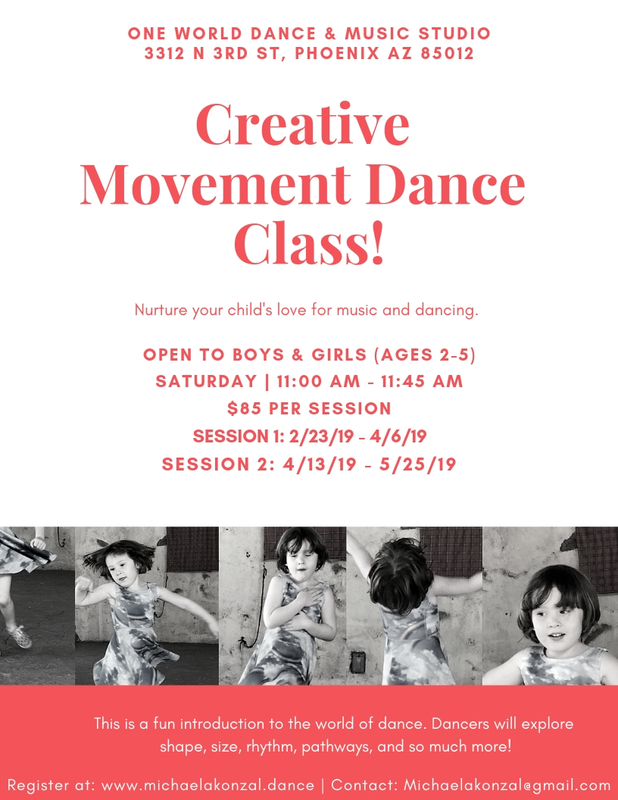 Creative Movement is a fun introduction to the world of dance! By fostering a positive and creative environment, little movers will learn how to follow directions, practice a consistent class structure, and socialize with others. We will also explore the concepts of movement such as shape making, size, directions, rhythm, and so much more! You will be amazed at the progress your dancer will make week after week as they gain confidence and body awareness. Class location: One World Dance & Music Studio, 3312 N 3rd St. I hope to see your special dancer in class! Please fill out the form to register your dancer(s) today! A fun introduction to the world of dance!